The 2019 BMW S1000RR is headed to the Indian market sooner than we thought it would. BMW Motorrad had first showcased the S1000RR at the 2018 EICMA motorcycle show and now the german marque has teased the motorcycle for the Indian market. A specific date hasn't been given by BMW Motorrad for the India launch of the 2019 BMW S1000RR but information has just been given out that the motorcycle is on its way to India. BMW Motorrad India tweeted a picture of the front-end silhouette of the motorcycle and quoted, "Answer the call of the road. Get your riding gear ready for a thrill unlike any you've experienced before. The all-new BMW Motorrad S1000RR is on its way to India. Stay Tuned." Well, it for sure is going to be a thrill we have not experienced before as it is an all-new motorcycle and not a facelift. For nearly a decade, the asymmetrical headlamps of the BMW S1000RR left an impression on everybody and it came to be known as the flagship BMW motorcycle's signature style. With the 2019 version, the BMW S1000RR sports sleek and stylish twin-headlamps up front. BMW Motorrad has also redesigned the fairing to expose the engine more than it was before. The shark gill design has been replaced by a more open design. The knee recesses are just the perfect size for the rider to tuck in properly. The chassis is brand-new and has been developed as a monocoque with the engine being a stressed member. The central part of the frame is now exposed. At the rear is a new cowl and a sleek LED tail lamp. The turn signal indicators too are now LED units. The only major design aspect that gives a hint of continuity from the outgoing model is the centrally placed air intake system. The 2019 BMW S1000RR is powered by a brand-new liquid-cooled, 999cc, four-cylinder engine. It produces a maximum power output of 207bhp at 13,500RPM, which is a 7.89bhp increase over the outgoing model. Torque output though, remains the same with 113Nm being produced at 11,000RPM. The 2019 S1000RR has been developed in typical BMW fashion and hence comes loaded with the latest technology, all derived from BMW's racing experience. The valves are made of titanium and the 2019 BMW S1000RR features a ShiftCam valvetrain system which is basically variable valve timing. This allows the BMW S1000RR to have seamless acceleration and a good spread of power across the rev band. The quickshifter is bi-directional, enabling clutchless shift both ways. 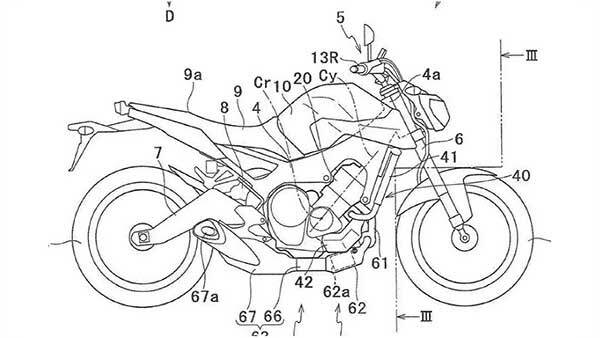 It acts as a normal quick-shifter while upshifting and the ECU will blip the throttle for the rider while downshifting. The 2019 BMW S1000R has a claimed top speed of 299km/h and acceleration from 0-100km/h takes under 3 seconds. It comes equipped with four riding modes: Rain, Road, Dynamic and Race. The different modes play around with the engine's power output, the way it puts down the power and changes the suspension settings. It also alters the traction control and ABS based on the selected riding mode. The saddle height has been increased to 824mm and this allows for a mode dedicated riding position. It has a MotoGP-inspired swingarm, which like the race bikes has been braced from underneath rather than from above as seen on most superbikes. Braking on the 2019 BMW S1000RR has also seen massive improvements as it comes with Race ABS and ABS Pro. It also comes with Hill Start Control. 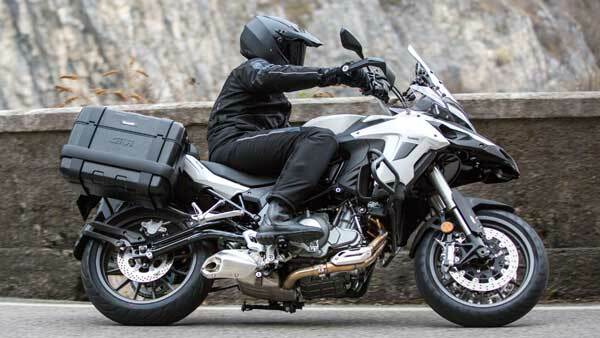 The motorcycle weighs in at 197kgs and has a 16.5-litre fuel tank. A TFT display replaces the analogue-digital instrument cluster on the outgoing model. The 2019 BMW S1000RR is the latest top-spec superbike to be launched in the Indian market, and will find quite a few elite customers. India has a rapidly growing superbike fraternity and a motorcycle like this would easily find its place amidst the biggies.